This 1.5 HP, dual capacitor rotary floor buffing machine is a workhorse with power to spare that delivers top value and long-lasting performance. It is one of our 17 inch 175 RPM floor polishers/buffers that can be used on both carpet and hard floors. It is the perfect floor buffer for use in a variety of settings including office buildings, schools, healthcare facilities, retails stores and malls. Machine operators will appreciate the solid performance of this extremely well-built floor machine which features all steel construction and a welded frame for rugged, reliable performance. Variable position positive lock handle and comfort-style vinyl handle grips add operator comfort and safety. The consistently unsurpassed performance of Hawk floor machines like this one makes them the top choice for floor cleaning challenges. Looking for a machine with all of the same great features as this one but with a wider buffing width? 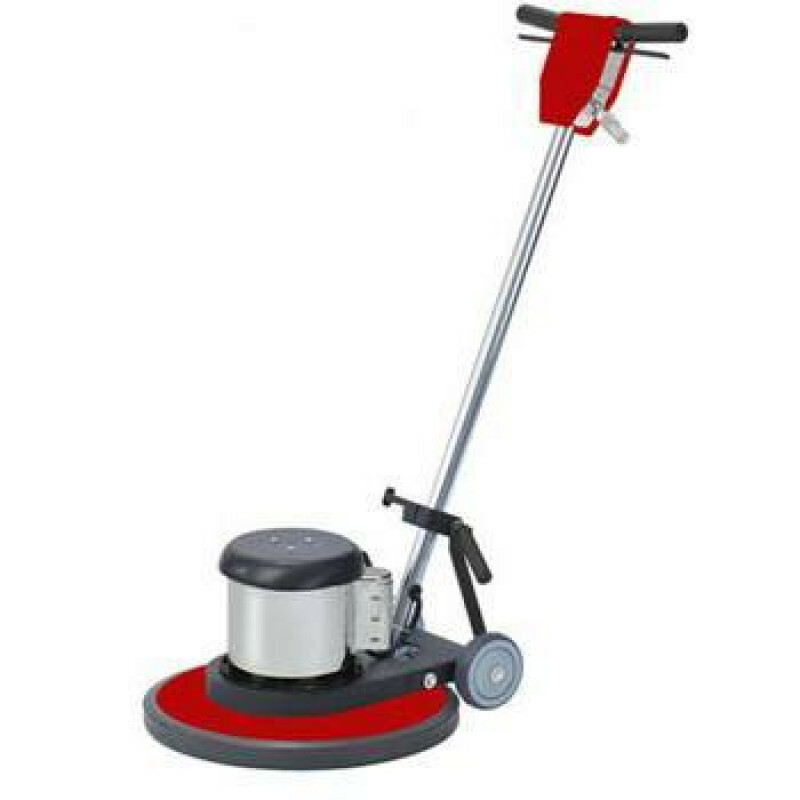 Take a look at this machine's larger counterpart, the 20 inch Hawk rotary floor buffer. Triple idler planetary steel helical-cut gear drives. Heavy-duty cord with molded plug for long-lasting value. All steel construction for superior strength and longevity. UL / CUL-Approved for safe performance. Variable position positive lock handle for operator comfort and safety. Premium dual capacitor, 66 frame motor for reliability. Comfort-style vinyl handle grips for ease of use. 360-degree wraparound- and-under snugfit bumper €” no tools needed for replacement.